WASHINGTON, D.C. — The President’s Fiscal Year 2016 discretionary budget request supports $1.6 billion in programs for the U.S. 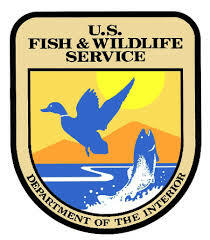 Fish and Wildlife Service, an increase of $135.7 million over the 2015 enacted level to fund the agency’s high-priority needs. The budget also contains an additional $1.4 billion available under permanent appropriations, most of which will be provided directly to states for fish and wildlife restoration and conservation. This budget invests in the science-based conservation and restoration of land, water and native species on a landscape scale, considering the impacts of a changing climate; expansion and improvement of recreational opportunities — such as hunting, fishing and wildlife watching — for all Americans, including urban populations; increased efforts to combat illegal wildlife trafficking, which is an international crisis; and the operation and maintenance of public lands. America’s Great Outdoors – This initiative, a Service priority, seeks to empower all Americans to share the benefits of the outdoors, and leave a healthy, vibrant outdoor legacy for generations to come. In 2016, a total of $1.5 billion in current funding is proposed for the Service as part of the Administration’s initiative to reconnect Americans to the outdoors while developing a landscape level understanding of a changing climate. This includes $1.3 billion for Service operations, an increase of $119.2 million over the 2015 enacted level. A critical component of America’s Great Outdoors is the National Wildlife Refuge System, which offers rewarding and convenient outdoor adventures to an increasingly urban society. Funding for the operation and maintenance of the Refuge System is requested at $508.2 million, an increase of $34.0 million above the 2015 enacted level. Included in that increase is an additional $5.0 million for the Urban Wildlife Conservation Program, which will extend opportunities to engage more urban youth and adults. The budget also requests $108.3 million for grant programs administered by the Service that support America’s Great Outdoors goals. Programs such as the State and Tribal Wildlife Grants are an important source of funds for the conservation and improvement of a range of wildlife and the landscapes on which they depend. Wildlife Trafficking – Wildlife trafficking has emerged as an international crisis, imperiling some of the world’s most recognized and beloved species as well as global security. The poaching of African elephants and rhinos for ivory and horn stands at unprecedented levels, and illegal trade is undermining the conservation of scores of other species. The President is requesting an increase of $4.0 million for the Service to combat expanding illegal wildlife trafficking and support conservation efforts on the ground in Africa and across the globe, and an additional $4.0 million to expand the Service’s wildlife forensics capability to provide the evidence needed for investigating and prosecuting wildlife crimes. Ecological Services – The budget includes $258.2 million to conserve, protect and enhance listed and at-risk wildlife and their habitats, an increase of $32.3 million compared with the 2015 enacted level. These increases include a $4.0 million program increase to support conservation of the sagebrush steppe ecosystem, which extends across 11 states in the intermountain West. Conservation of this vast area requires a collaborative effort unprecedented in geographic scope and magnitude. To achieve sustainable conservation success for this ecosystem, the Service has identified priority needs for basic scientific expertise, technical assistance for on-the-ground support, and internal and external coordination and partnership building with western states, the Western Association of Fish and Wildlife Agencies and other partners. Additionally, the budget request contains a $4.0 million increase to ensure appropriate design and quick approval of important restoration projects that will be occurring in the Gulf of Mexico region in the near future. The Gulf of Mexico Watershed spans 31 states and is critical to the health and vitality of our nation’s natural and economic resources. The 2010 Deepwater Horizon oil spill dramatically increased the urgency of the Service’s work in the Gulf and our leadership responsibilities. Over the course of the next decade, billions of dollars in settlement funds, Clean Water Act penalties and Natural Resource Damage Assessment restitution will be directed toward projects to study and restore wildlife habitat in the Gulf of Mexico region. The Service is in high demand to provide technical assistance and environmental clearances for these projects, and this funding will ensure that this demand can be met. Fish and Aquatic Conservation – The budget request includes a total of $147.5 million for Fish and Aquatic Resource Conservation, a program increase of $4.9 million from the 2015 enacted level. Within its fisheries program, the Service is requesting an additional $1.0 million for fish passage improvements to help make human communities and natural resources more resilient by restoring natural stream channels, which helps alleviate flood concerns. This partnership program also generates revenue and jobs for local communities. The Service is also requesting an additional $2.4 million for efforts to control the spread of invasive Asian carp.This budget also maintains the funding increase provided to the National Fish Hatchery System by Congress in the 2015 appropriations bill. This level of funding allows the Service to continue hatchery operations that are key to the conservation of our Nation’s fish and aquatic species. Land Acquisition – The 2016 Federal Land Acquisition program builds on efforts started in 2011 to strategically invest in the highest priority conservation areas through better coordination among Department of the Interior agencies and the U.S. Forest Service. This budget includes $164.8 million for federal land acquisition, composed of $58.5 million in current funding and $106.3 million in proposed permanent funding. The budget provides an overall increase of $117.2 million above the 2015 enacted level. An emphasis on the use of these funds is to work with willing landowners to secure public access to places to recreate, hunt and fish. Powering Our Future –The Service continues to support the Administration’s “all-of-the-above” energy strategy by engaging in early planning, thoughtful mitigation and the application of sound science not only for traditional sources of energy but also in the development of new, cleaner energy to help mitigate the causes of climate change. The budget proposes $16.8 million, an increase of $2.6 million, for environmental clearances and other activities associated with energy development. Landscape Level Understanding – The budget request includes $69.7 million, an increase of $12.2 million above the 2015 enacted level, for landscape level science and conservation. Global and national conservation challenges such as development pressure, climate change, resource extraction, wildfire, drought, invasive species and changing ocean conditions require an unprecedented effort to better understand threats and inspire coordinated action to address them. Cooperative Recovery –Species recovery is another important Service priority addressed in this budget. For 2016, the President requests a total of $10.7 million, an increase of $4.8 million over the enacted level, for cooperative recovery. The focus will be on implementing recovery actions for species nearing delisting or reclassification from endangered to threatened, and actions that are urgently needed for critically endangered species. To learn more about the President’s FY 2016 budget request for the Department of the Interior, visit: www.doi.gov/budget.